No projects found, please change your criteria and try again. 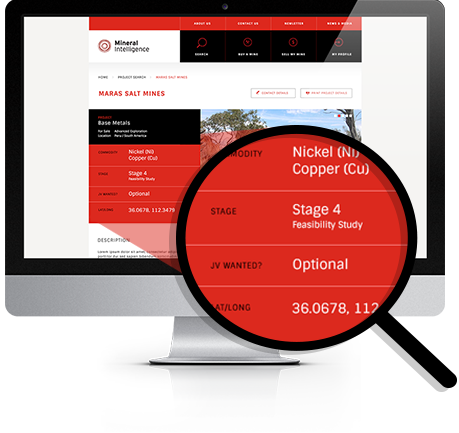 Subscribe to Mineral Intelligence to access comprehensive information, including direct access to seller's contact details, on all mining projects for sale. You'll also be able to view all projects and locations on a global interactive map.